Noted community activist and founder of Turning Point Magazine passed away surrounded by friends and family on Sunday, January 8. Pat had been battling Brain Cancer for some time and had not been seen around the community for several months. As founder and president of Turning Point, Means had established herself as a new-economy entrepreneur and small business specialist. Her aggressive “can-do” entrepreneurial spirit has carried the company from its inception with a $2,000.00 investment to a nationally recognized small business and community development resource. Means co-founded the publication after the 1992 uprising in Los Angeles to address the lack of positive portrayals of African Americans in the media. Through Turning Point’s thirteen-year journey to become the only medium – print or broadcast – specifically targeting African Americans of influence in California, Ms. Means acquired full ownership of the publication in 1995. And in 2001, Turning Point Magazine expanded its message and services to a national audience. Knowing first-hand the obstacles that African American business owners face, this business trail-blazer positioned Turning Point Communications as a viable vehicle to assist entrepreneurs keep abreast of the ever-changing business paradigm by creating entrepreneurial development events such as the very successful annual National African American Business Summit and the Access to Success Business Tour®. Through her efforts, many small business owners have realized their dreams of becoming productive and profitable parts of the American economy. By the same gesture, Ms. Means provided a direct diversity vehicle for corporate America to reach the multi billion-dollar black small business market. Recognized as an advocate for minority small business, Means was appointed to the National Congres­sional Small Business Task Force by Representative Juanita Millender-McDonald. Means served as Chairperson of the Los Angeles 10th District Small Business Commission (appointed by City Council Member Martin Lud­low). 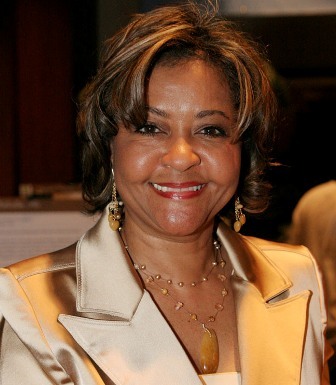 She established and serves as board president of the TPC Foun­dation, Inc. and sat on the boards of the West Angeles Community Develop­ment Corporation, the Los Angeles African American Women’s Political Institute, Inc. (LAAAWPPI), the Greater Los Angeles African Ameri­can Chamber of Commerce and the Wells Fargo Community Advisory Board. Services for Means will be held on Thursday, January 19, 2017 at West Angeles Church of God In Christ – 3600 Crenshaw Blvd., Los Angeles and is tentatively schedule for 11am (however the time has not been confirmed) Please check the Sentinel website www.lasentinel.net or our social media platforms for updated information.